Before I start telling you about what the heck a Capri Sun Summer Slush is (and how easy they are to make!!) 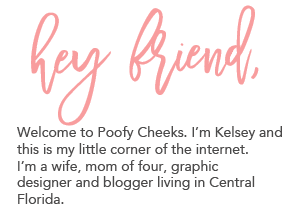 let me tell you a little bit about my new adventures as a mom of four. Bottom line I am exhausted! For the first time ever I don’t feel like I can function without starting my day with a cup of coffee – problem is that I am lucky to get a few sips before my kids need this or that and next thing ya’ know my coffee is cold! If you came to my house right now I wouldn’t be able to offer you coffee because I am fresh out of coffee and creamer! and if my two older boys tattle on each other one more time I might just loose my marbles! Okay now that I have vented – back to the Capri Sun Slushes! When my brother, sister and I were younger my mom used to give us these slushes. We were always boating, camping or playing outside during the summer months and my mom would store a whole pack of Capri Sun pouches in the freezer for days like those. Now as a mom of four I have been trying to break up our days at home this summer by doing something outside. We go through the sprinkler, blow bubbles or color with sidewalk chalk. I will do pretty much anything to get the kids outside to burn off some steam. Then I will break out the Capri Sun slushes! Here is what you do – store your Capri Sun pouches in the freezer and then when you head outside take them with. Let them start to melt a little bit and when the kids are done playing smash them against the sidewalk. Don’t smash them too hard or you might put a hole in it. Once it feels like it is a slush consistency cut the top off the pouch and eat it with a spoon or pour it into a cup and enjoy. My kids love them just as much as we did as kids. If you are heading on an all day adventure throw the frozen pouches in your cooler and they will be ready when you are! There is nothing like a Capri Sun Slush to make a day at the beach or out on the boat even better!